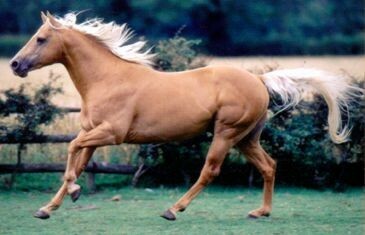 SEDGEHILL GOLD, aka Jed, is a 15 hh Foundation registered American Quarter horse by Pesky Top Hat out of Hollywood Hallmark (he is 92% foundation breeding). Besides being a good looking horse, Jed has been chosen for his old fashioned laid back temperament (and he is a real sweety! ), athletic ability and versatility. 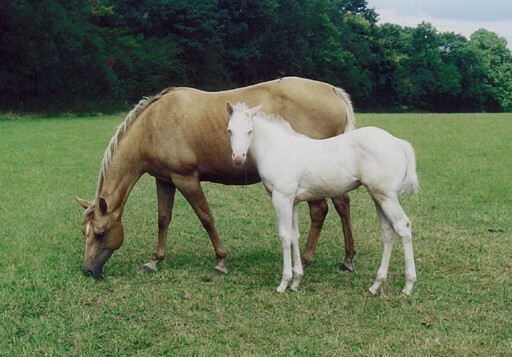 He is the sire of the authors mare Kitty (CB Hollywood Cream Cat) who is shown here with her mother Hollywood Gata De Oro(aka Kitten), who is 95% foundation bred. Thankyou to the breeder, Mrs. Anna Burns of Cotesbach Quarter Horses, Leicester, UK, for sharing with us her photos of Jed, Kitten and the young Kitty. Jed is standing at stud at Cotesbach Quarter Horses.